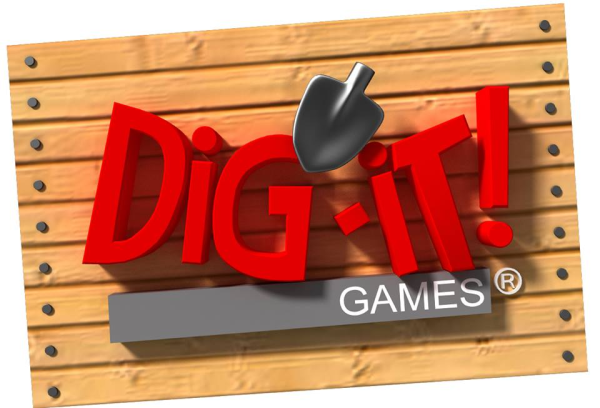 Dig-It Games is an independent developer of educational, interactive games for kids. At Dig-It! Games, we believe in the power of games to promote critical thinking, independent learning, and cultural understanding. Our games incorporate age-appropriate content in math, science, social studies and language arts into fun, interactive and engaging learning experiences. Through our seamless blend of fun and learning, we seek to foster the joy of intellectual discovery and inspire kids to think differently about learning. What age groups are your games for? At Dig-It! Games, we create games to fit the learning needs of middle school students, but even younger children enjoy playing our games. Not only can the games be played at home with parents, but they can also be played at school, including our classroom edition of Mayan Mysteries, specifically designed for teachers to use in the classroom. What makes Dig-It Games different from the other education game companies? One thing that sets our games apart is that Dig-It! Games is cross-curricular. We blend social studies, science, math, and reading together into our games to encourage students to problem-solve in context, using what they know or have learned and applying it to new situations in the gaming experience. In addition, our games reach all learning styles, auditory, visual and kinesthetic. Because of this, Dig-It! Games is able to produce immersive, creative, fun and educational games. The founder of Dig-It! Games, Suzi Wilczynski, is a former educator and archeologist. Recognizing a lack of games developed to meet the learning needs of middle school students, Suzi founded Dig-It! Games. In 2005, Suzi began her quest to create fun, interactive learning experiences for middle school students. As an educator and trained archaeologist, Suzi had used archaeology to bring history to life while calling upon a wide range of skills, including math, science, and language arts. To make these subjects relevant to 21st century kids, Suzi set out to create entertaining, interactive digital games that could be played at school or at home. Her goal was to use games to engage children in an immersive way that goes beyond what they can experience from a textbook, film or lecture. After learning everything she could about game design and playing more games than she cares to admit, Suzi released Roman Town in January 2010 to critical acclaim from parents, educators and the education industry. In 2012, Dig-It! Games produced Mayan Mysteries, an award-winning puzzle-based adventure game about the ancient Maya. 2013 was all about math at Dig-It! Games, with the releases of math-based games Loot Pursuit: Tulum, MayaNumbers and Can U Dig It! So far in 2014, a new edition of Mayan Mysteries was launched as well as the newest app from Dig-It! Games, Loot Pursuit: Pompeii. The team at Dig-It! Games is comprised of incredible artists, game developers and designers. We have also worked with archeology experts to obtain historical accuracy in our games. Our goal is to create immersive, engaging and educational games for kids that go beyond learning from a textbook. We strive to create more apps that kids, parents, and teachers enjoy. We want to continue creating games to meet the learning needs of all middle school students using a cross-curricular, interactive approach to make games fun and accessible to all learning styles. The ultimate goal, says founder Suzi Wilczynski, is to change the way history and science are taught.